is an award-winning actor and writer. He plays Curtis 'Caddie' DeVille on the NBC drama Shades of Blue. In Fall of 2015, his most recent play, Hamlet in Bed, had a critically-acclaimed run Off-Broadway at Rattlestick Playwrights Theater, NYC, and a subsequent run at The Pleasance Theatre, Edinburgh in Summer 2016. Originally from Cincinnati, Ohio, he studied at NYU Tisch School of the Arts’ Experimental Theatre Wing. After college, he cut his teeth on the classics at The Shakespeare Theatre in Washington, D.C., then immersed himself in the downtown NYC theatre scene where he worked with legends Joe Chaiken, Judith Malina, Eric Bogosian, Ryscard Cieslak, Edgar Oliver, Sam Shepard, and Anne Bogart among many others. In more recent years, he has performed leading roles on Broadway and Off-Broadway, in top regional theaters, and in film and television. Along with his acting career, he has authored five plays and wrote/directed the feature film Escape Artists. In 2009, he had a breakout success with his solo play Krapp, 39. He played the recurring role of Barry the Homeless Man on the FX series Damages, and series-regular Cutter the Vet on Adult Swim’s acclaimed live-action comedy The Heart She Holler with Patton Oswalt and Amy Sedaris. 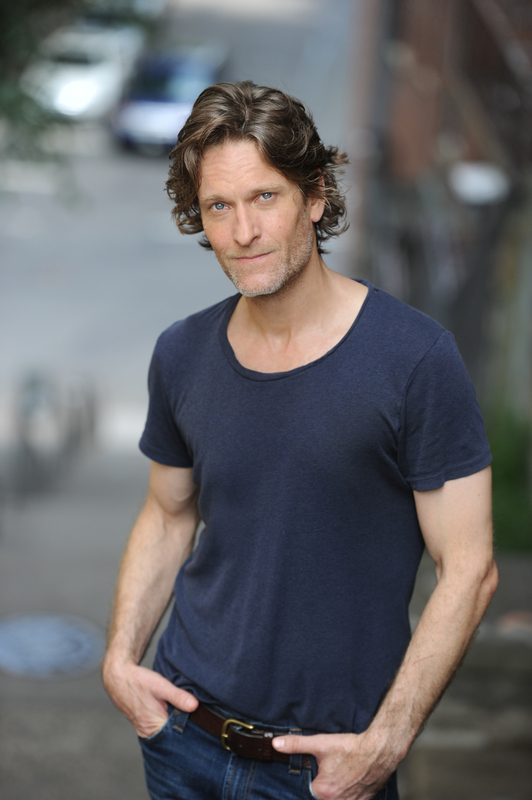 His other film and television credits include blacklister Maddox Beck on The Blacklist, The Good Wife, Elementary, Person Of Interest, Third Watch, Johnny Zero, FX, GhostStories, As the World Turns, and What’s Not To Love? for SHOWTIME. Also, One For the Money (w/ Katharine Heigl), Man On A Ledge (w/ Sam Worthington & Ed Harris), A Walk In The Park (directed by Amos Poe), The Operator, Follow Me Outside, Room314, Escape Artists, Claire Dolan, Torte Blume, Tell Me The Truth, The Chase, Standing In the Current, Love God, The Minister’s Black Veil, Particles of Truth, and other indies. Michael’s recent Theatre credits include the Broadway revivals of Eric Bogosian’s Talk Radio, and Eugene O’Neill’s Desire Under the Elms, the New York premiere of Appropriate (Signature Theatre, OBIE-winning play), the world and New York premieres of Samuel D. Hunter's The Few (Old Globe and Rattlestick Playwrights Theatre), the Off-Broadway premieres of Opus and The Morini Strad (Primary Stages), the American premiere of Poison (Origin Co., Off-Broadway), the Off-Broadway premiere of Horsedreams (Rattlestick Playwright’s Theatre), the Off-Broadway premiere of Diary of a Teenage Girl (New Georges/3LD), the Off-Broadway revival of Two Rooms by Lee Blessing (Platform Group), John Proctor in The Crucible (Hartford Stage), Mikey Dillon in Good People (Huntington Theatre), Starbuck in The Rainmaker (Arena Stage), Eric Bogosian’s Humpty Dumpty (McCarter Theatre), Lydie Breeze (NYTW), Tooth of Crime and Book of Days (Signature Theater, NYC), Edward II (Expanded Arts). He performed in Arthur Nauzyciel's acclaimed production of Genet's Splendid's at Theatre National de La Colline in Paris (& French tour). Michael is the author of the plays Hamlet In Bed, Krapp39, Ingenue, The Escape Artist, Virgil’s Cauldron, and the co-creator (with playwright-performer Edgar Oliver) of Chop Off Your Ear. He wrote and directed the independent feature film Escape Artists. Krapp, 39 premiered at the 2008 New York International Fringe Festival, winning an award for Best Solo Play. It went on to enjoy an acclaimed six month run Off-Broadway at the Soho Playhouse, and was nominated for a 2009 Drama Desk Award. In 2010, the play had it’s UK premiere at the Tristan Bates Theatre/ London, followed by an Irish premiere at Axis Ballymun Theatre/ Dublin. The play was anthologized in Plays & Playwrights 2009.